It's cheaper to take two friends at the same time. 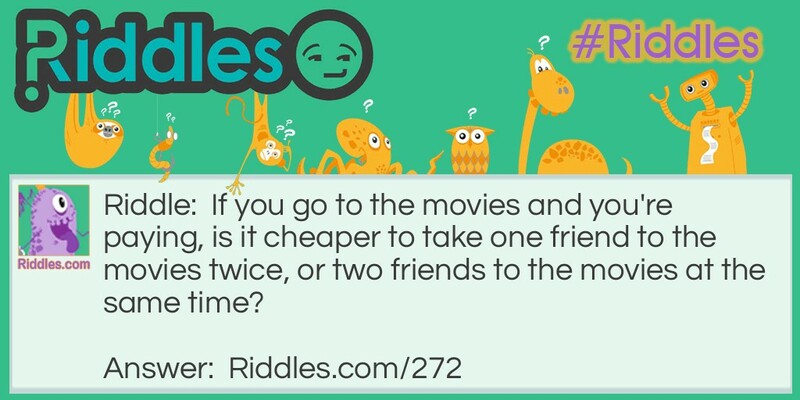 In this case, you would only be buying three tickets, whereas if you take the same friend twice you are buying four tickets. Movie Time! Riddle Meme with riddle and answer page link.